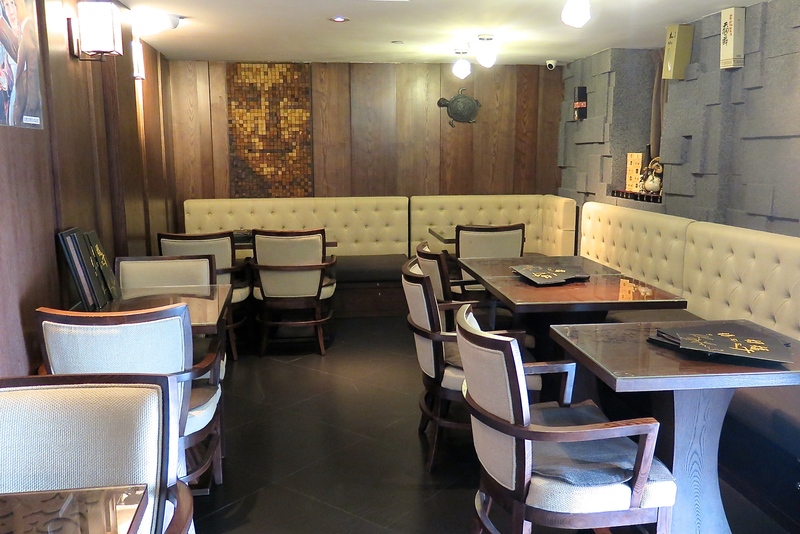 Conceived by cousin team Chef Liow Wei Siong and Chef Liow Wei Kim, Fukusen is a new Japanese dining establishment housed within the lobby level of boutique chain Hotel Clover at 33 Jalan Sultan. 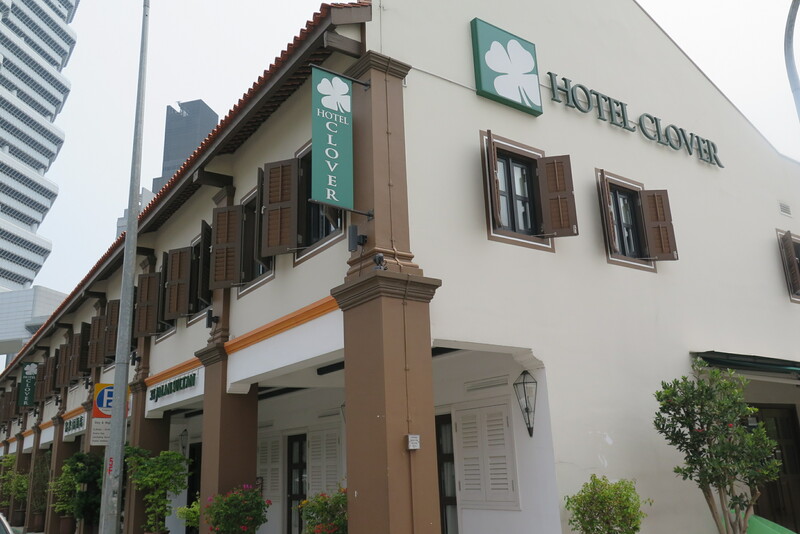 The venue may be obscure to some, however still considerably convenient and accessible via public transport Nicoll Highway MRT station (CC5). 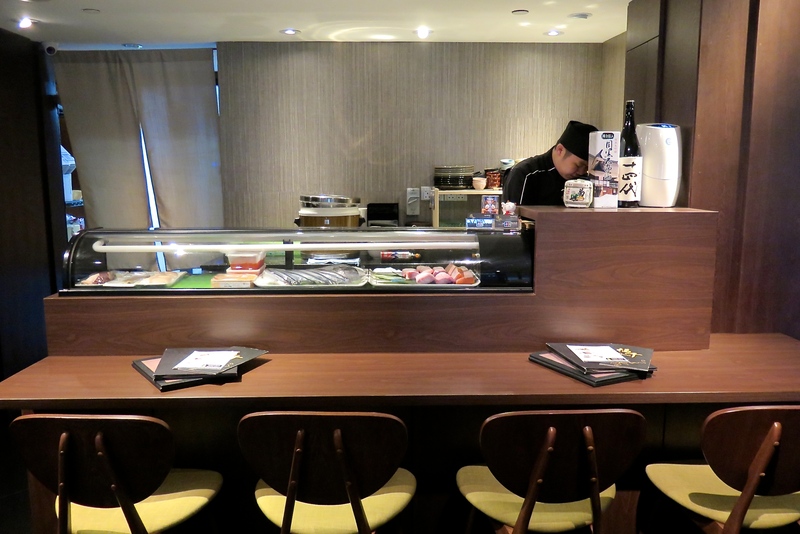 The restaurant boast an unstated elegance, warm and charming interiors; which seat up to 45 people including the sushi counter where much of the action takes place on full show as the chef prepares your omakase meal. There are a total of three Omakase course starting from $80 for a 5-course (Han) meal, to 7-course (Gin) and 8-course (Nishiki) at $120 and $160 respectively, available during lunch and dinner. Pre-booking is strongly encouraged. Choice pickings of the freshest seafood from different regions in Japan are air-flown to Fukusen at least twice a week. Diners and hotel guests can enjoy the experience of seasonal produce and chef’s signature dishes such as Wagyu Tata Aburi (lightly grilled beef with egg yolk $40), Spinach Scallop Carpaccio (scallop with homemade spinach sauce and truffle oil $28) and Ninniku Tori (chicken with homemade garlic sauce $20). 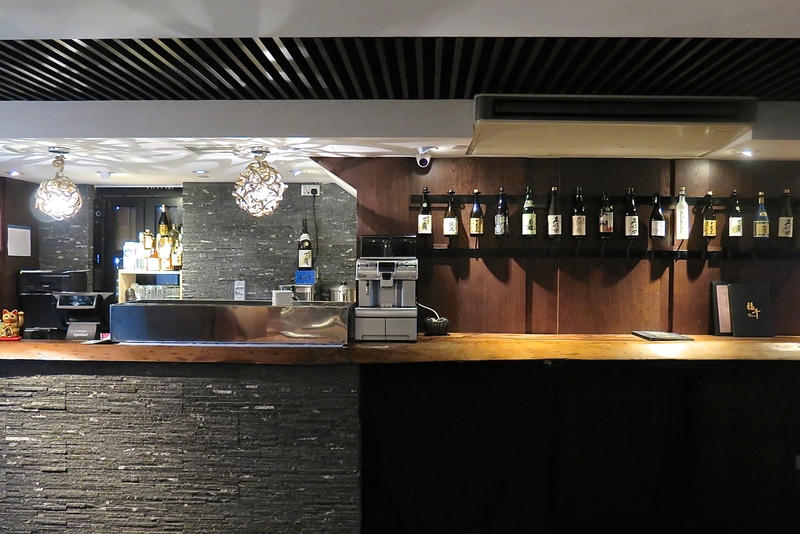 Much of Fukusen‘s menu is themed around contemporary Japanese cooking style. 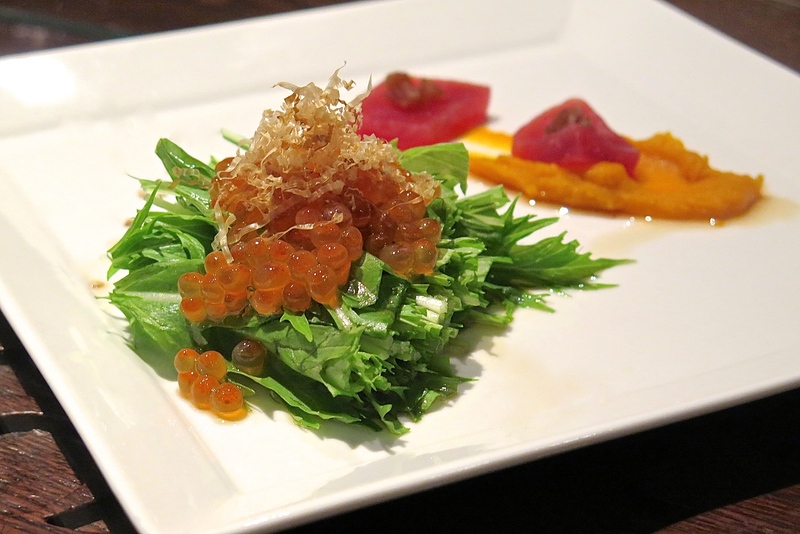 Customers can expect some fancy garnishes and premium quality ingredients like Okinawa sea grapes, foie gras and more. Here’s some highlights of the Omakase 7-course (Gin) meal. Do note that the dishes and ingredients may vary depending on the chef’s seasonal selection. 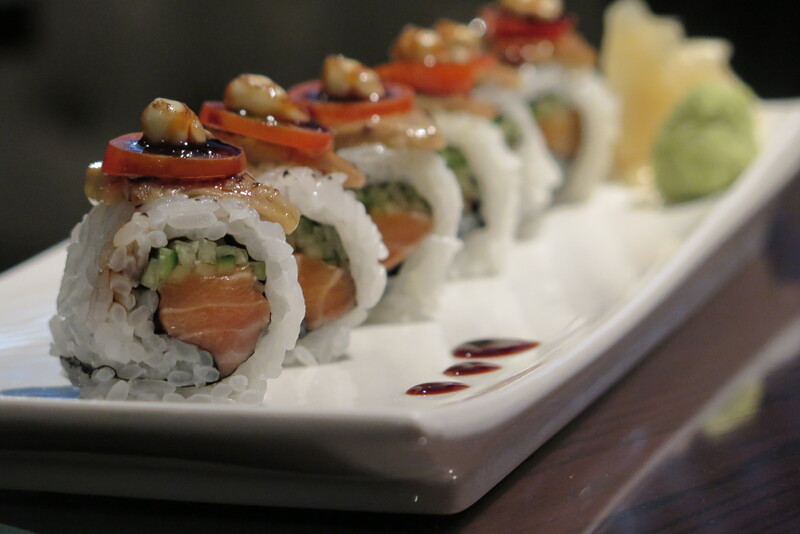 An Omakase menu is popular with diners who wants the best of what the chef has to offer. Starting off with the Mizuna vegetables topped with glistering balls of Ikura (salmon roe), paired with cubes of maguro tuna and pumpkin puree in a fresh tasting salad. 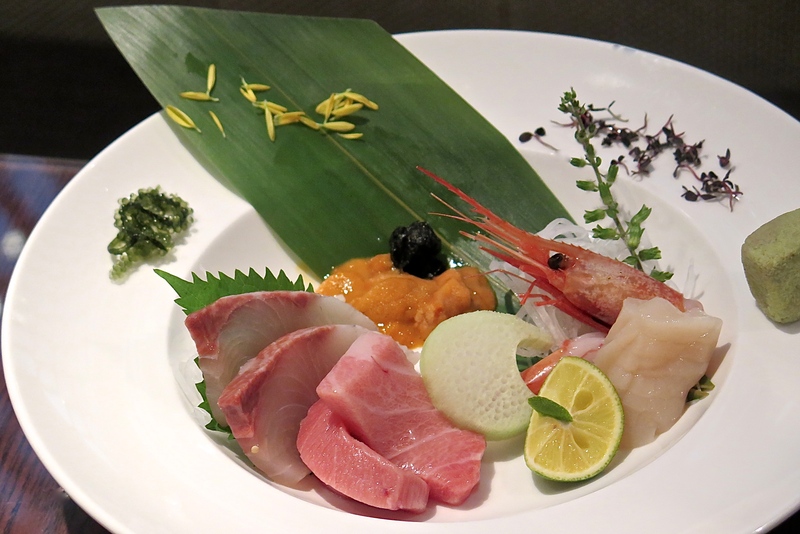 Next came a sashimi platter elegantly presented cuts of Japanese Amberjack fish, Otoro and Chutoro (maguro), Amaebi (sweet prawn), Hokkaido scallop and fresh Uni (sea urchin). 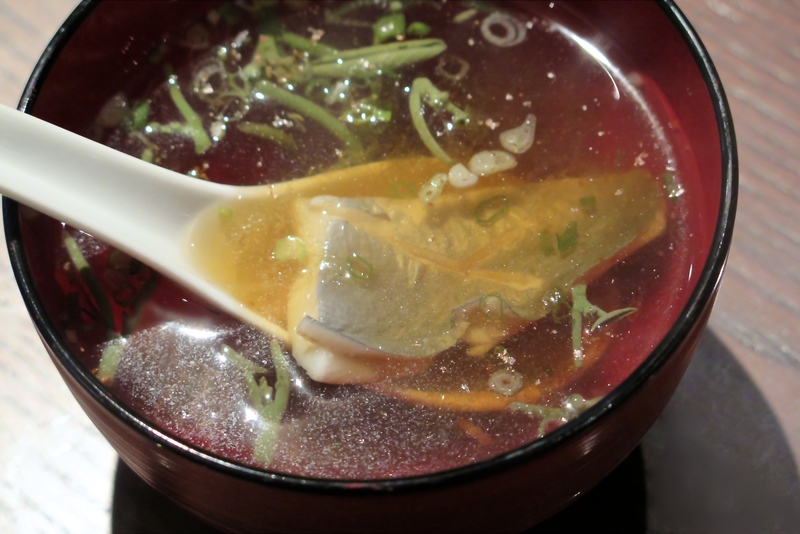 Just before the grilled dish, was a bowl of Japanese clear broth soup. 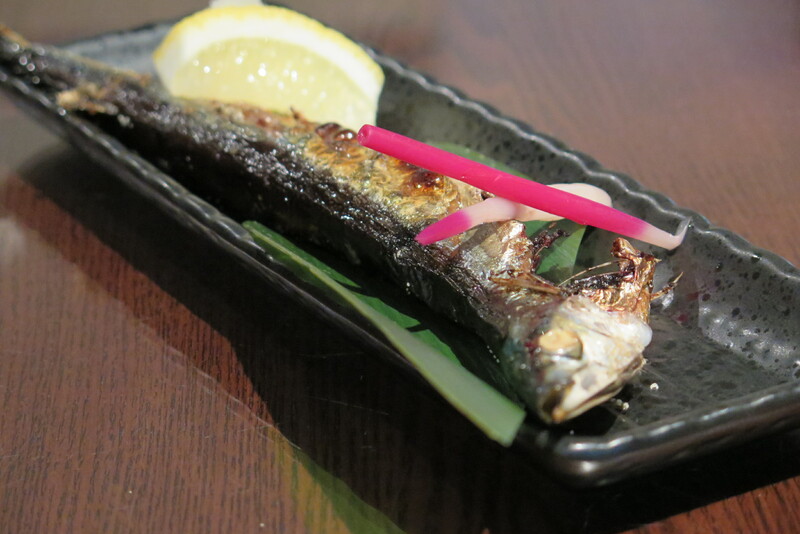 The Sanma Shioyaki (grilled pacific saury) is plentiful of Omega-3, flavourful and best served alongside with a glass of cold beer. 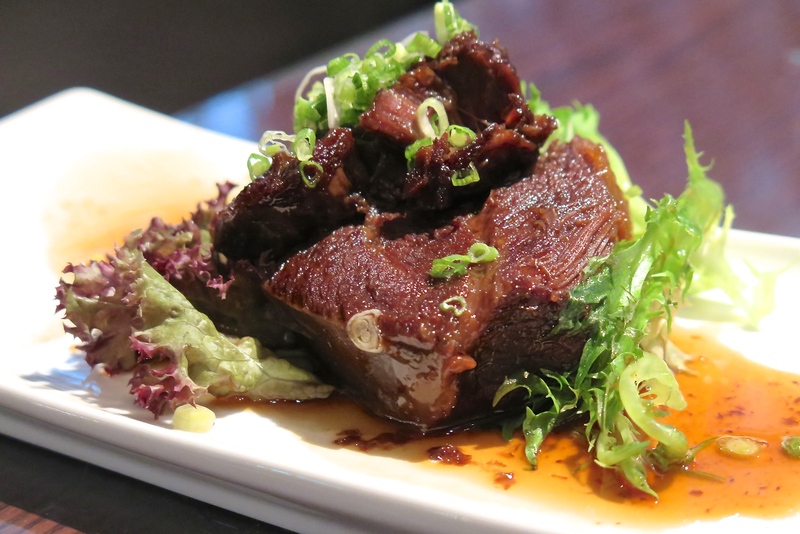 Beef cheeks were cooked long and slow, resulting in tender, juicy meat that literally fall apart just by pulling it. 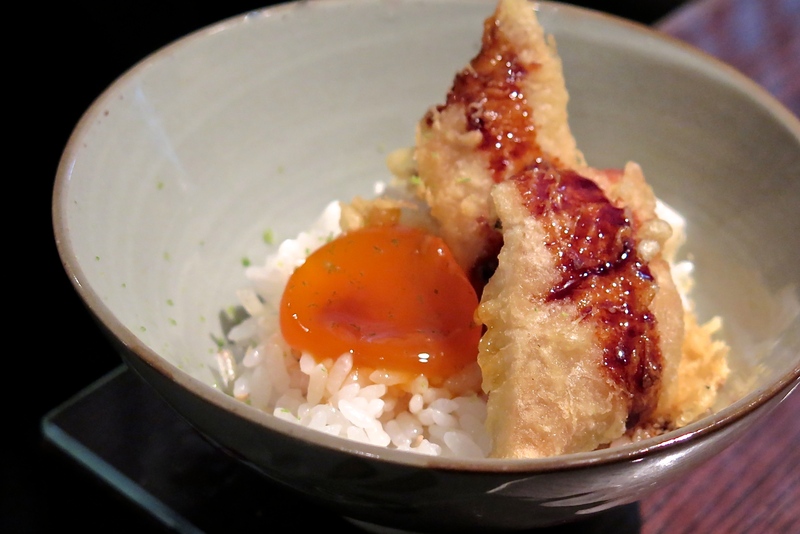 The sixth-course was a mini Don (rice bowl) of the day, featuring Anago (sea eel) tempura on rice with a marinated egg. 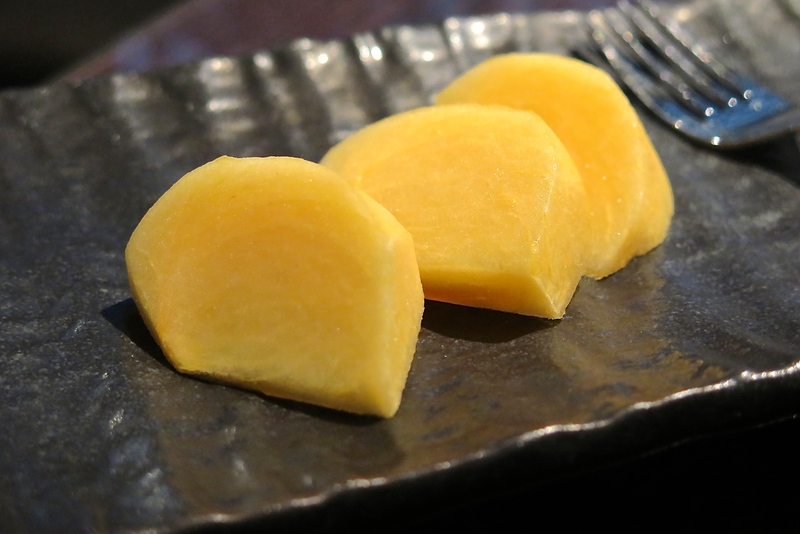 Ending the last course was dessert, in this meal, brightly yellow coloured Fuyugaki persimmon from Japan was soft, sweet and delicious. And complete your meal with a pairing sake (not included in Omakase) from the extensive sake menu at Fukusen. 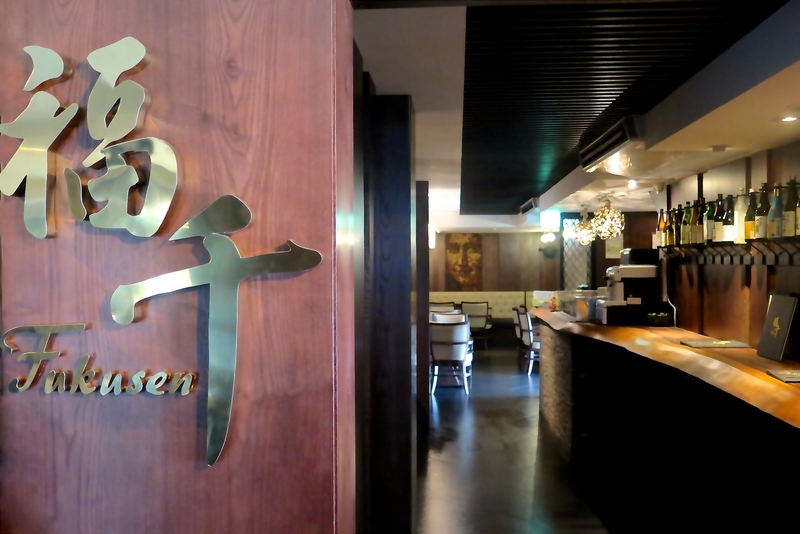 Fukusen Japanese Restaurant also offers affordable lunch set menu, donburi, and a la carte dishes. 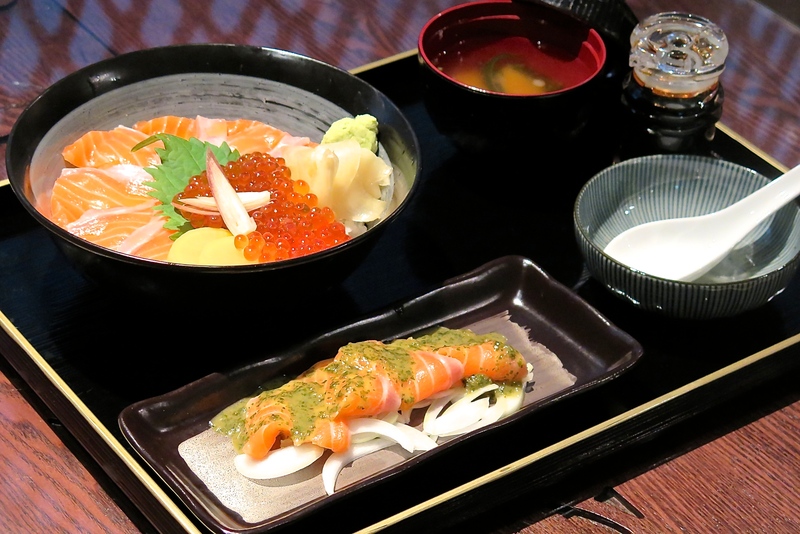 Rice bowls start from $16 for Katsu Don and Salmon Don, to $28 for Chirashi Don and up to $38 for Uni Don. 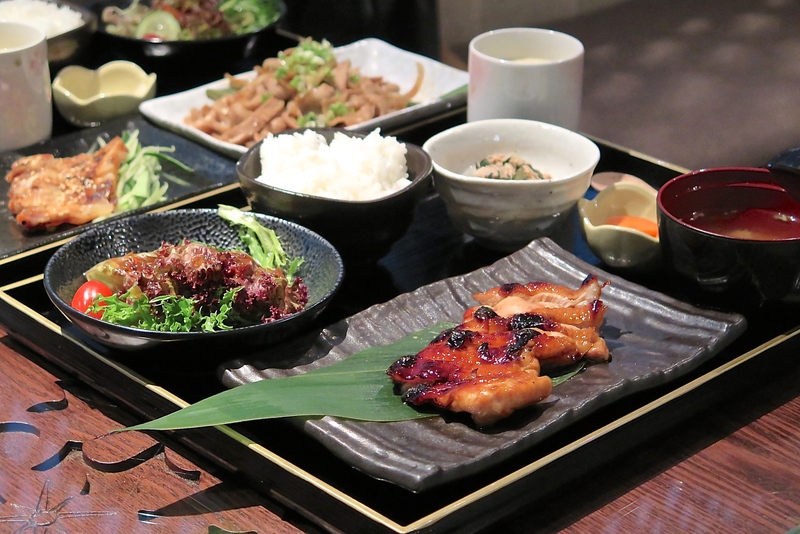 Look out for weekly special lunch set from $15, comes with a side salad, chawanmushi, miso soup and rice. As part of the restaurant promotion, diners can get to enjoy 1-for-1 lunch deal from 1 October to 30 November 2015. 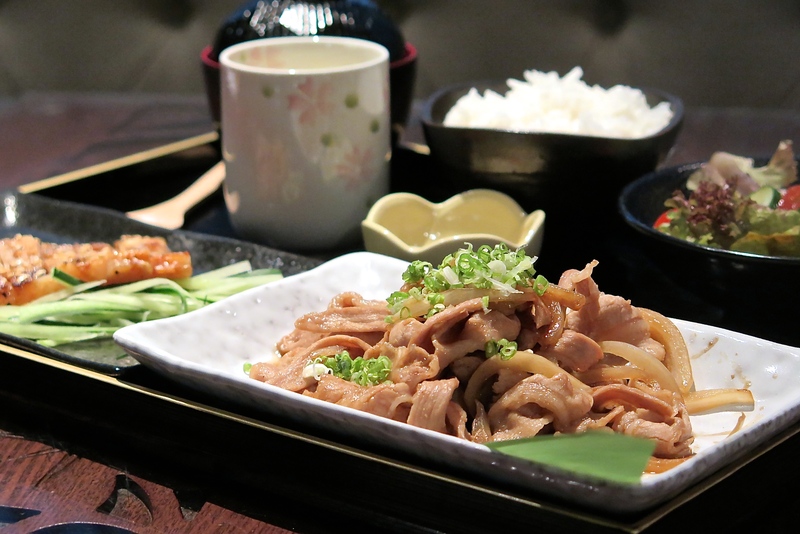 Simply make a reservation at Fukusen for lunch, and if your name (identification required) begins with the letter “F”, “K”, or “S”, you can get to enjoy the 2-way lunch set at half the price when you bring a friend. Choose from any of the three new 2-way lunch sets below; Aburi Salmon Carpaccio & Salmon Don ($24), Cold Chicken marinated in Shiso & Chicken Teriyaki ($21) or Grilled pork marinated in Miso & stir-fried sliced pork ($24). Don’t have the initials “F”, “K”, or “S” in your name? Grab a friend who does to enjoy the deal, limited to only 50 sets a day. If you think you’re still hungry, savour house specialities like the delectable Clover Fukusen Roll ($28) (top) of salmon sashimi and cucumber rolled and crowned with slices of seared foie gras and cherry tomato, the Hotate Carpaccio ($28) of fresh Hokkaido scallops sliced thinly, topped with a homemade spinach sauce and drizzled with truffle oil, and Zaru Inaniwa Udon ($12), a cold buckwheat udon specially sourced from Japan, served with Tsuyu dipping sauce. Or simply find something you like from the extensive a la carte menu.